The wings are covered on the tops only, with tension wires on the bottoms. 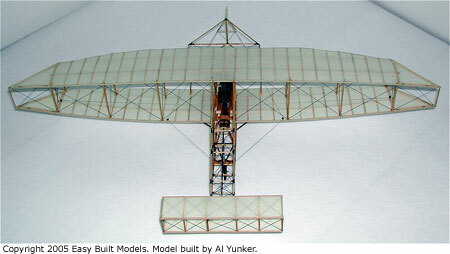 A jig was made from Styrofoam to hold the curve of the wings while the struts and wings were glued together. 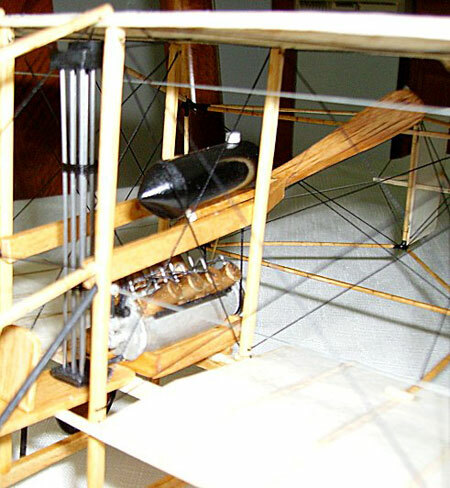 Black craft/button thread was used for the rigging, tension wires, and trailing edges of the wings. Gray craft/button thread was used for the control lines of the rudder and ailerons. Small pulleys were made from cross cuts of very small dowel and grooves were placed on pulleys for lines to run around. The body was constructed as per the plans and materials provided. All balsa in the body that was not heavy stock was 1/16th sq balsa sanded to round the edges and marked with a pencil to simulate the bamboo that was used in the original plane. Again black craft/button thread was used for the rigging. The metal fittings where the bamboo joined was simulated with flat black paint. All balsa was stained to give the look of different types of wood. 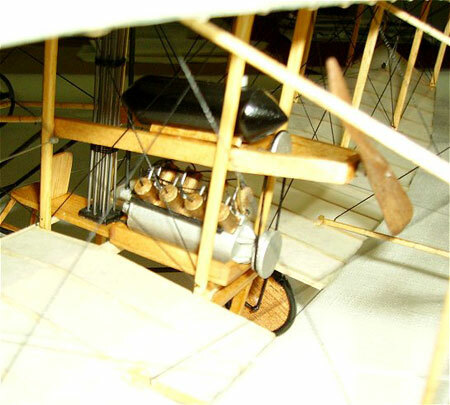 The main body of the engine, the pistons, and the gas tank were made from various sizes or wood dowels. 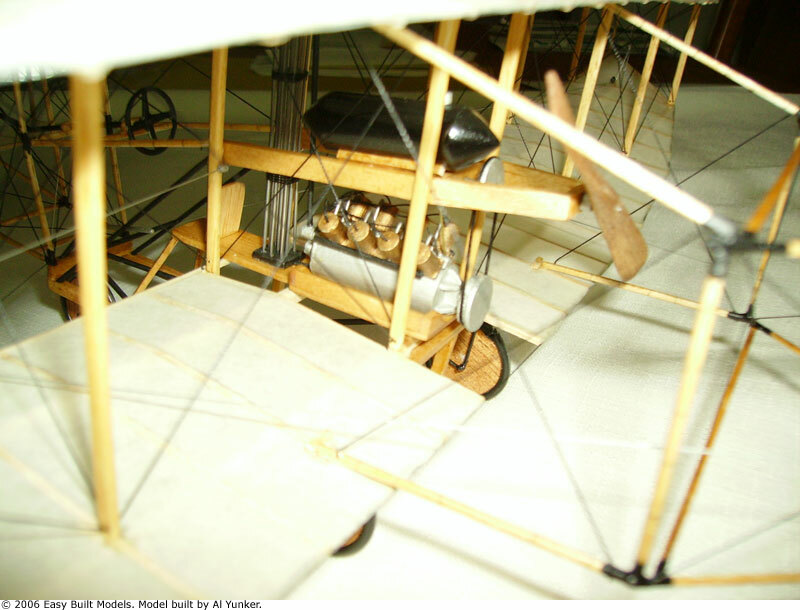 Balsa scraps, black craft/button thread and wire were used for the other detailing such as fuel lines, spark plug lines and belts. The radiator was constructed from music wire and balsa. The wheels and tires were made from balsa and black electrical wire. I cheated on the steering wheel. It came from a 1:25th scale model car.